Designed in Cambridge and exclusive to Heal’s, Joule is a new family collection containing table lights, floor lamps, and statement pendant clusters. Available in two core colour combinations- clear and satin brass for a classic finish and smoke ombre and sandblasted black metal for a sleek, contemporary look. 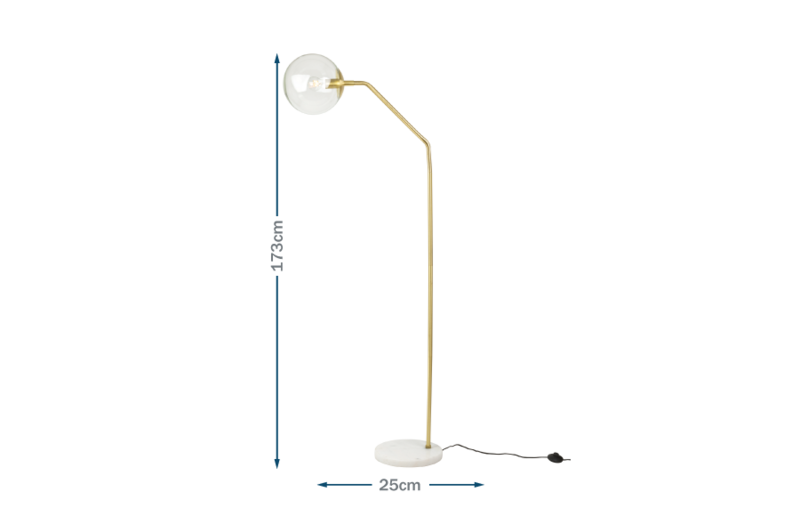 Elegant and elongated - a simple arch construction creates the Joule floor lamp which is the perfect statement piece within the home. A solid real marble base and slender painted satin brass frame offers a simple design statement Pair with a mirror ball capped E27 bulb to add a further dimension to the lamp.